Radio Hereford will bring live match commentary of the first Hereford FC match at Edgar Street a week on Saturday. The group, led by Keith Hall, say that their ongoing music broadcast will be occasionally halted in the coming days due to testing for the new service. Meanwhile, Talking Bull are taking articles up to July 25th for their relaunch issue. Advertising is also available, and both enquiries for adverts and article submission can be made to editor@talkingbull.org. Herefordshire Council's Marc Willimont says that Hereford FC are on course to be granted a safety certificate on the Edgar Street ground. More works are ongoing at the ground this week as the clock ticks down to the first home game against FC United of Manchester. William Powell builders have been onsite almost continually over the past few weeks completing various building works, while Melcon have worked on the electrical issues that have taken several weeks to complete. Volunteers have also taken on the mammoth task of repainting the stadium, with all of the metalwork and much of the stonework painted over the past month. Elsewhere, the club have announced that ABC Print will print the programme for the coming season. The owners of MFL side Coleshill Town have announced they are to install a 3G pitch at their Pack Meadow stadium. The new surface will be ready in September. Ex-Bull Jake Jervis has signed a one year deal with Plymouth after leaving Ross County. Jervis, 23, was also signed by Pilgrims boss Derek Adams for Ross, scoring five times for the SPL side last term. Bristol Rovers have admitted holding talks with a Swiss financier over the sale of the club. Chris Samuelson was part of a group that tried to take over Reading, but says no deal has been done and any agreement is likely to hinge on the result of the Sainsburys court case. The Pirates have a debt of at least £7.5million including a £2million short term high interest loan taken out to fight the court case. Former Bulls striker Andy Moran has signed for Welsh League side Buckley Town. The 35 year old forward has spent most of his time in the Welsh leagues including a six year spell at Rhyl. 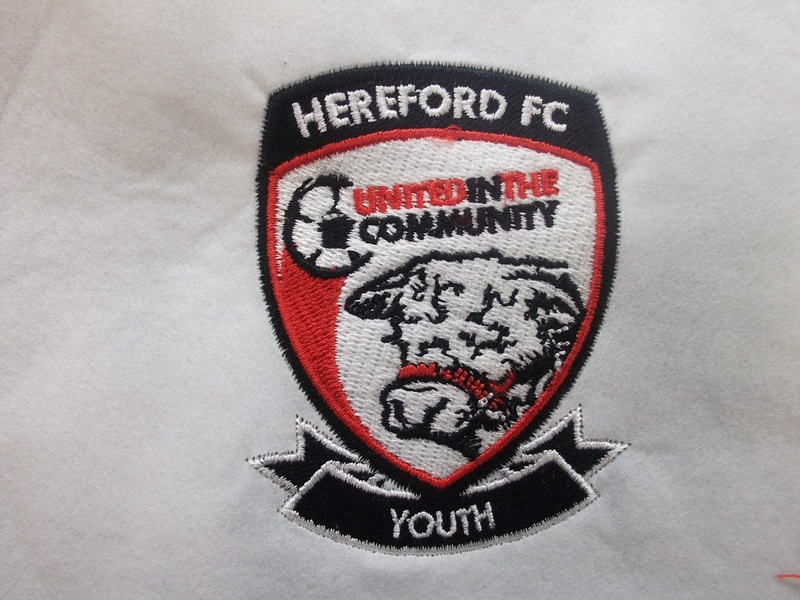 Tonight sees the first day of pre-season training for Hereford FC. Along with the seven announced signings, there is expected to be up to twenty trialists at the first session. They will also train on Thursday and Saturday before the debut match at Malvern next Tuesday. Nominations are invited for the HUST Board elections to take place on Thursday, September 17th at the Edgar Street Athletic Ground. Any full adult member is able to stand as a candidate providing they can get the backing of two other full members. The election is for general Board roles, with the specific titles and jobs determined by the elected Board afterwards. Their site also contains a formal notice of the forthcoming AGM on September 17th. Rocester have announced the signings of Gary Webster and Dan Martin. 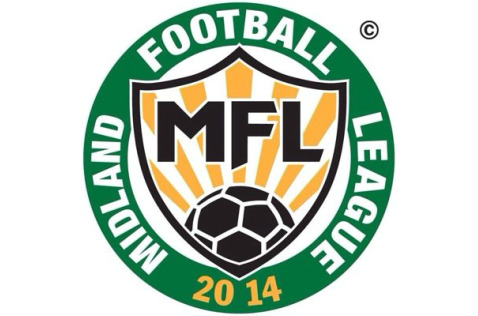 The Hillsfield based side finished mid-table in the Midland Football League last term. Hyde's Supporters Club now owns the club after buying it from owner John Manship. They are now planning to become a Supporters Trust having suffered two relegations down to the Evo-Stik Northern Premier. Sporting Khalsa have added Tony Higgins and Ben Astley to their management team to assist boss Ian Rowe. The big spending side began pre-season training on Saturday, with a number of MFL sides also having begin preparations. Continental Star also returned to training under new boss Shaun Watson. The registered charity club plays at Rushall Olympic. Dunkirk have announced the signing of midfielder Eugen Bopp. The 31 year old will take up a player-coach role having made 89 appearances for Nottm Forest in a career that saw him play 150 times in the Championship and League One. United In The Community have announced that they have been granted planning permission for an extension to the sports pavilion at their Belmont Abbey facility. The new extension will incorporate new changing rooms, toilets, and also improve the drainage at the site. Meanwhile, their charity collection box continues at Waitrose until Tuesday. You can collect the green tokens at checkout to put in their box to help earn them a donation to the charity. UITC also still have one kit unsponsored. Contact Mick Loader mickhufc@gmail.com for details on the £450 kit. Another busy day of ticket sales has seen the total number of tickets sold for the FC United of Manchester game reach an amazing 2,136! This total includes 1,150 tickets sold for the Meadow End alone. A great big thank you to everyone who has bought a ticket so far, we really appreciate your support! Tickets go back on sale from 10am on Wednesday morning, this includes tickets for B&C Block which had been reserved for season ticket holders up until close of play today. Tickets for Blocks A and B in the Merton Stand are starting to become limited, whilst just a handful of tickets for C Block are available. There is still plenty of availability for the Meadow End, Len Weston Terrace and Len Weston Seating, as well as D Block in the Merton Stand. Taking into account season tickets sold as part of commercial deals and Executive Club membership, we’ve now reached an amazing 1,000 season tickets sold for the 2015/16 season! Pictured with volunteer Rob Bullock are supporters Joe and Joel who purchased the 999th and 1,000th season ticket earlier this afternoon! Once again, we’d like to say a great big thank you to everyone who has added their support in advance of the coming season. Hereford FC will have the replica shirts on sale from 10am on Saturday. Sizes available are 3XS through to 3XL. The shirt will also be on sale on the Macron website from Monday. Due to limited resources, phone bookings for tickets are not available tomorrow but in-person sales will be available for Season Tickets, and match tickets for the FC United of Manchester and West Brom games, at the ground from 10am til 4pm. Former Bulls winger Dan Walker has signed for Aldershot. The 25 year old ended last season on loan at Eastleigh from Braintree, but started in just one of fourteen appearances. Nicky Featherstone has signed a new, longer, deal at Hartlepool. The monkey hangers had already exercised a clause in his contract to extend it into the 2015/16 season. Tyler Weir has agreed a new deal with Worcester City. The defender was due to spend the summer in Australia but returned surprisingly quickly. Over a thousand tickets have been sold for the Meadow End alone for the opening home friendly match in just over two weeks. Sales continue at the club from 10am tomorrow with the home shirts also on sale for the first time. Meanwhile, the club is also seeking a video camera to film matches for the coming season for analysis use and also to provide highlights for supporters. Any companies that can help are asked to contact commercial@herefordfc.co.uk. By any measure, the Premier League has been a triumphant success. Over 20-odd years it has grown from nothing to an international sports behemoth with annual revenues in the billions. Its games are watched in households from Boston to Beijing. And yet there is something rotten in the state of football. For while the Premiership flourishes, the grass roots that nurture it are dying back. It’s not easy to get financial information about the Premiership, but there can be little doubt that it is awash with money. In 2013/14 the combined revenues of Premier League clubs passed the £3 billion mark for the first time, over £1 billion more than their nearest European rival, the Bundesliga in Germany. And the league is getting richer still. Last February it announced a live TV rights deal worth an extraordinary £5.1 billion. Add in an expected £3-4 billion for overseas rights, and that’s a total of £8-9 billion in expected revenues over the next three years. But here’s a thing. According to the Save Grassroots Football campaign England has just 639 of the best all-weather artificial grass pitches, compared to 3,735 in Germany. That’s 3,096 fewer pitches where talented youngsters can gain the skills that might one day see them representing their country – and the enthusiasm for football needed to pay eye-watering Premiership ticket prices. Pundits talk sagely about the “football pyramid”, meaning the thousands of teams that spread out in the various national, regional and local leagues below the Premiership. But in financial terms the pyramid is upside down, with billions of pounds of revenue teetering on a base that is increasingly insecure and liable to topple over. No wonder our national team has struggled to match Germany recently in international competitions. What makes it worse is that the Premier League has repeatedly pledged to spend five per cent of its broadcast revenues on grassroots football. The true number is probably barely half of this—some would say lower still—and even that includes “solidarity” and “parachute” payments designed to share revenue among the very top leagues and cushion the often financially ruinous effects of relegation. Meanwhile Premiership funding has actually been cut to the Football Foundation, the charity which funds local club development. The Premier League has attempted to counter criticism through its latest announcement of £1 billion over three years. But this includes a commitment by clubs to pay the living wage to full-time staff; highly commendable, but nothing to do with the grass roots game. The facts are clear. The Premiership needs to honour its 5% pledge to the grass roots, and in a fully transparent and accountable way. If it does not, the Government should look hard at a new football levy on the Premiership and its members to raise the required sums. Our national game deserves no less. The draws for the early rounds of the FA Vase and FA Youth Cup will be revealed next Friday. The announcement is expected to be made on the FA website around 11am. Hereford FC is pleased to announce that a deal has been agreed that will see James Smith – from the Stagecoach public house in Hereford – assist the club with the running of the bars and functions rooms at Edgar Street. The deal will see Hereford FC work in partnership with James and means that the more trade that is generated by Radford’s, Addison’s and the Executive Club/Starlite Room, the more both parties will benefit. While James will take responsibility for staffing and running the bars, the club will work with him on marketing the venues to ensure they are used as much as possible and become an important source of income for the future. ‘The bars have been a source of much debate for the Board of Directors, but we now believe we have agreed a deal which is a good one for the club. ‘We have reached this position as we have been unsuccessful in our search for the applicant we believe is the right one to run the bars here at Edgar Street, despite interviewing a number of people. ‘Therefore, we have agreed a deal with James Smith that will see the club benefit from every sale that happens in any of the bars, while also having a professional partner to work with who can help us get the bars up and running and ensure everything is then being run in a professional manner. ‘I’m delighted to have agreed this partnership and I am especially pleased that the deal we have struck means that the club will benefit from every sale made in the bars and every function booked. ‘This is a really exciting project to become part of and I’m looking forward to seeing how the club develops. ‘We are aiming to open Addison’s to the public for the first time the night before the FC United of Manchester game and we will then look at our regular opening hours once we have a full premises licence in place. 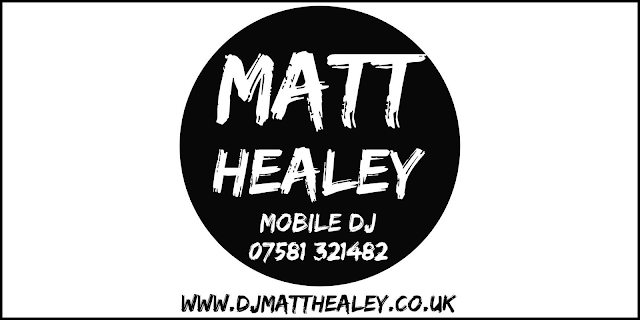 ‘However, we are already taking booking for Radford’s and the Starlite Room, so anyone interested in hiring either of these venues is welcome to call me on 07967 709 017. Beadle: Purdie "A Good Example And Good Leader"
"We're delighted with Rob. He took a bit of time, which is understandable as he's got a young family now and he wants the best for them. I think he found it too much of a draw and too much of a thing to be away from the club, especially in its first year back. "We're delighted he's onboard. Like Tony (James) he'll add experience on the pitch, it's good having experience on the pitch and Rob's got an abundance of that. He loves the club and hopefully he'll be a good example and a good leader on the pitch as well as Tony." The full video interview is on their Facebook page. We urgently require volunteers for the following positions working within the club on a matchday. We want the role of volunteering to to be as stress-free and enjoyable as possible. The more people that volunteer their services for these roles, means that there will be less pressure amongst volunteers to attend every game. Fans who volunteer on a matchday will be entitled to a complimentary ticket for the game(s) that they work. 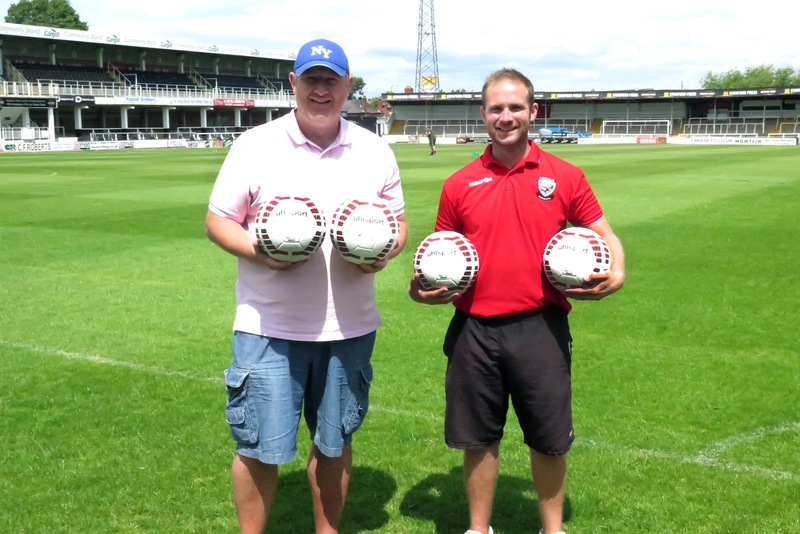 If you would like to add your name to the volunteer list, please email volunteers@herefordfc.co.uk. Newport's Supporters Trust has launched a bid to take over the club from Les Scadding. The departed former chairman had been funding losses of six figures a season with this year's budget slashed from £1.4million to £850,000. They hope to complete a deal by the time the new season starts after Scadding left last week. Former Bull Ben Purkiss has joined Port Vale on a two year deal. The 31 year old left Walsall at the end of the season after three seasons at the Bescot Stadium. Northampton are reported to be on the verge of being sold to new owners. An unnamed Indian consortium is reported to be set to buy out owner David Cardoza from both the club and the land surrounding their Sixfields home. A fan has left Bishop Auckland £300,000 in his will to improve their ground. The Step 5 Northern League Division One side play at Heritage Park, opened in 2010. Stockport Council have ratified the purchase of Edgeley Park for around £2million. One Councillor called the football club 'a community asset'. Highgate United have announced the signings of Shane Benjamin and Darryl Jones from MFL runners up Coleshill Town. The pair previously played for Highgate, with Benjamin having been top scorer in the division last term with 47 goals in 48 games. 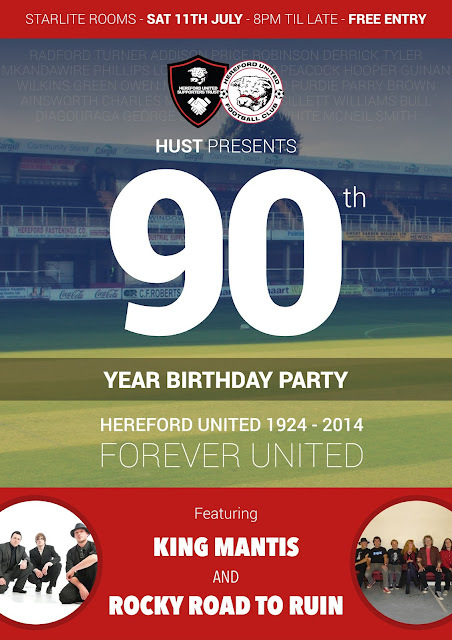 HUST have 2 balls available as prizes for junior HUST members where the lucky winners will get to meet Pete and the team, receive a signed ball and the opportunity for some photos from Hereford FC photographer Steve Niblett. The competition question is: Who scored the final goal at Edgar Street in Peter Beadle's last home league match as Hereford United manager? Email your answer to organiser Steve Niblett at modnite@hotmail.co.uk Entries must be received before midnight on Weds July 1st and the 2 lucky winners will be notified next Thursday July 2nd by email. Note this prize does not include entry to the FCUM match. Please quote your membership number. Following on from last weeks opportunity to contribute towards Hereford FC’s maiden season, Pete Beadle has just taken a sizeable delivery of match and practice balls ready for the start of next weeks training sessions – although it was Roger Lloyd and Jonny Evans who had to physically lug them round. Pete is delighted as it symbolically heralds the imminent start of the club – and he extends his thanks to all the supporters who are backing the club before a ball is actually kicked. As part of the deal Pete struck with the ball supplier, it also included 20 balls for the UITC youth teams. Steve Brotherwood of UITC is also is delighted to receive them - although his mind did appear not to be so much on the ball as he only has 2 more days left of being a singleton. The monies raised for the balls were part of a HUST sponsored package to receive a signed ball off Pete and the contracted players after the FCUM match on Saturday 13th July. Did you miss out on the chance to sponsor a ball last week? The cost is £50 with a signed ball and you get to meet the manager and players after the FCUM match. We have crammed in 3 more spaces. You’ll need to be quick, email modnite@hotmail.co.uk to secure your spot and we’ll confirm if you’ve made the cut. With the home shirt being launched on Saturday, the decision has been made to not accept phone sales on that day. “With the launch of the new kit, and continued ticket sales for the FC United of Manchester and WBA matches, we have made the decision that sadly, we won’t be able to accept phone orders this Saturday. “There are two main reasons behind this. Firstly, we currently only have one card machine available, and on Saturday it will be being used by three teams of people, selling kit, selling tickets and selling merchandise, therefore, we simply don’t think we will have the facility available to accept payments over the phone. Prize Bull Lottery draw No. 57 took place on Monday night. Hitchin Town have launched a crowd funding drive to help rebuild their Top Field home. The club have an initial target of £50,000 for initial repairs but say they could need up to £2million to build new stands and floodlights, and relay the pitch at the ageing stadium. Stockport have signed former Bulls loanee Micah Evans. The 22 year old winger spent last season at Southport, making 16 appearances. Both Plymouth and Exeter have offered trials to every player released by Torquay's decision to scrap their Academy setup. 120 players under the age of 18 were left without a club following the decision, with both sides saying they cannot accommodate all of them. Carlisle have been revealed as charging £500 to appear in pre-season games at non-league sides. Matt Hessey, manager of Penrith, says his side are happy to pay the fee as they expect to make £3,000 from the match. It is reported to be the first time the Cumbrians are to have made the demand. Farnborough have denied allegations by former chairman Brian Berger that the club got itself deliberately relegated to avoid paying its CVA. The club say they have written to Berger demanding an apology and retraction of the claim. The club also claims to be 'totally solvent' and says that Berger has been banned from the club. "Nothing as yet. We've got the seven we were pushing for and we'll look at other players in pre-season and recruit then." "We've got good connections with other clubs locally at higher levels. We'll stay in contact with them and we can hopefully do each other favours with players that need a bit of fitness and we need some players." "At Malvern we'll use as many players as we can to have a look at them. It's only fair we give these players a chance to have a look at them properly. They'll play a big part in games through pre-season before we decide on them. Some will play more than others, some will disappear pretty quickly. That's the way pre-season goes." "We start in less than a week. We can't wait to meet up with the players and get back to work again." Hereford FC's main reception will again be open today from 10am til 4pm for the sale of tickets for the FC United of Manchester and West Brom friendlies. Season Tickets and merchandise are also on sale, with the replica home shirts not on sale until Saturday with the delivery yet to arrive. For today's sales, Blocks B and C in the Merton Stand are only available to season ticket holders due to low numbers of availability. Blocks A and D, as well as G and H in the Len Weston Stand, and the terracing are all on general sale. Hartlepool's new owners have been confirmed as JPNG, a recruitment firm. Their chairman Gary Coxall becomes the club's new chairman with former owners IOR having been in place for 18 years. Coxall says the club's targets will not change with manager Ronnie Moore chasing a string of summer acquisitions. Stockport's local Council say they will make a bid to buy Edgeley Park from current owners Cheshire Sports. A recommendation to buy the site is expected to be approved at a Council meeting on Wednesday, with the authority borrowing the cash and then renting the stadium to the Hatters on better terms than they currently endure. Former Bull Jennison Myrie-Williams is reported to be set to sign for Hartlepool following their takeover. The 28 year old was released by Scunthorpe last week after ending last season at Tranmere. Former Bulls loanee John Eustace is being linked with a move to Rangers. The 35 year old, released by Derby ten days ago, is wanted by new manager Mark Warburton with Leeds and Sheff Weds also reported to be interested. Chester are still hoping to retain the services of ex-Bull Kingsley James. The 23 year old has rejected a new deal at the Deva but is still subject to a transfer fee, with Grimsby showing interest but refusing to pay a fee. Former Bull Tristan Plummer has changed his mind on a new contract with Aldershot, with the former Bristol City man telling the club he wants to find a club closer to his home. 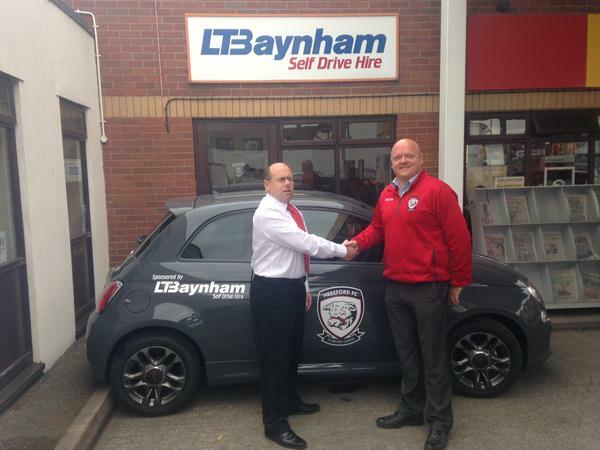 Local car hire firm LT Baynhams have supplied a Fiat 500 to Hereford FC for use by Commercial Manager Stig Ammonds. Meanwhile, the club have announced that the new home shirt will be available for online orders from Monday. It will be on sale first at the club this coming Saturday from 10am. United In The Community have appointed club contractors Highground to work on the pitch at Victoria Park. Existing contractor Mowtech will continue to look after the pitches at Belmont Abbey, with both companies being appointed for the next two seasons. 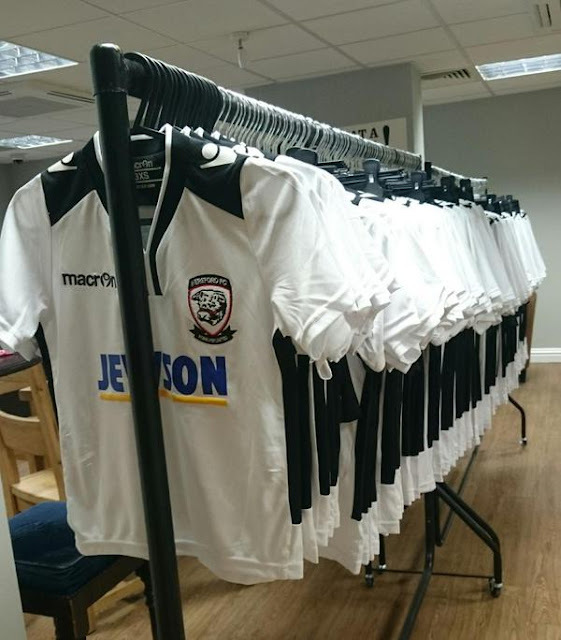 Hereford FC's new replica home shirts will be on sale from the club this coming Saturday (10am-4pm). The club also open on Wednesday (10am-4pm) and Saturday for further season ticket sales as well as tickets for the friendlies with FC United of Manchester and West Brom. With over 1,600 tickets sold for the FC United game, and the visitors having up to 680 allocated to them, there is only around half the capacity of the stadium left on sale. Season ticket purchasers have tickets reserved for them until the end of sales on Saturday, before those reservations are released. It is understood that B Block in the Merton Stand is currently sold out until any unsold season ticket holder tickets are released. Stockport are facing a nervous wait to find out if their ground is to be sold to developers. The ground remains in the ownership of former club owner Cheshire Sports, who are reported to have received an offer of £2million for the ground. The local council are deciding on Wednesday over whether to match the offer and save the Edgeley Park site, while the club's fans may also try to save the site having put an ACV on the historic ground. The club are reported to be unable to afford the current £80,000 a year rent. Former Bulls loanee Damon Lathrope has signed a new one year deal with Aldershot. The former Torquay man missed half of last season due to injury, making 24 appearances in total. Barnet Chairman Tony Kleanthous says the club's return to the borough whose name it bears is no more than an aspiration and there is little chance of it happening for some time. Hereford FC is looking to recruit a group of volunteers with first aid experience to provide first aid cover at this seasons home games. Hereford First Aid is offerings it's services (for free!) to help recruit and train successful applicants if necessary. 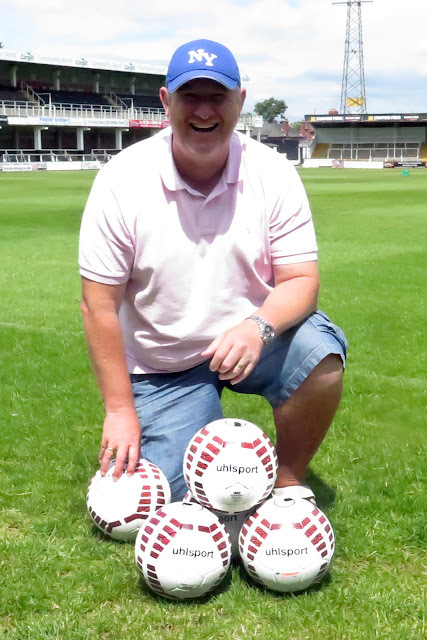 Hereford FC photographer Steve Niblett has raised £1500 for HUST this week by selling off autographed balls. 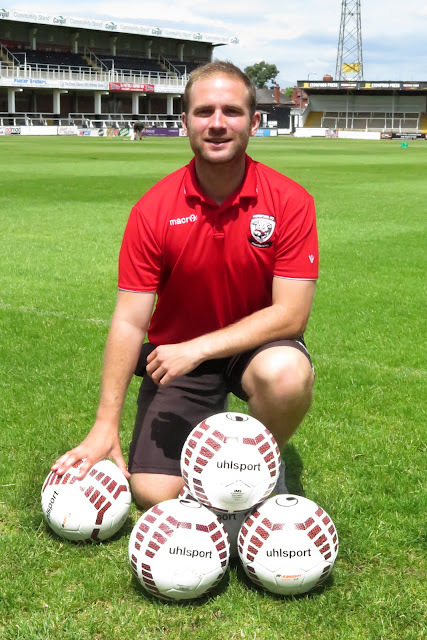 HUST thanks Steve for his work, and the money will be used to purchase training and match balls to be used by Hereford FC this coming season. Hereford FC have sold 1,623 tickets so far for the FC United of Manchester match. 886 Season Tickets have also been sold, with the books due to be available in the first week of July, while there was further brisk sales of merchandise. More merchandise is due to arrive this week, with the home shirts expected to be available next Saturday. Ex-Bull Danny Pilkington has signed a new deal with Barrow for the forthcoming season. The former Kidderminster winger was a key part of the squad that won them promotion to the fifth tier in April. Torquay have handed responsibility for youth development to their Community Trust. Six full time coaches have been made redundant following their decision to close their Academy. A creditors meeting to discuss Farnborough's CVA has been adjourned for a second time. The club has been accused by a former chairman of deliberately getting relegated to avoid repaying the £1.2million debt, offering just a fraction of the sum owed. The club could face closure if creditors refuse the new offer and, even if it was accepted, could be relegated down to Step 4 having finished last season at the foot of Conf South. Redhill FC have turned down a place in Southern League South & West after Flackwell Heath's rejection of the spot. The East Surrey side say that they, like Heath, cannot afford the travelling and will remain in the Combined Counties League for the coming season after being relegated from the Ryman League in April. Andy Williams has signed for Doncaster following his release by Swindon. The 28 year old has signed a three year deal. Hartlepool have announced that owners IOR have sold the club and the new owners will take charge on Monday. The move comes six months after an aborted takeover of the club, and will see chairman Ken Hodcroft step down immediately. The new owners are claimed to be a Dubai based recruitment firm - JPNG Global. The UK company appears to be based in Ilford, Essex. 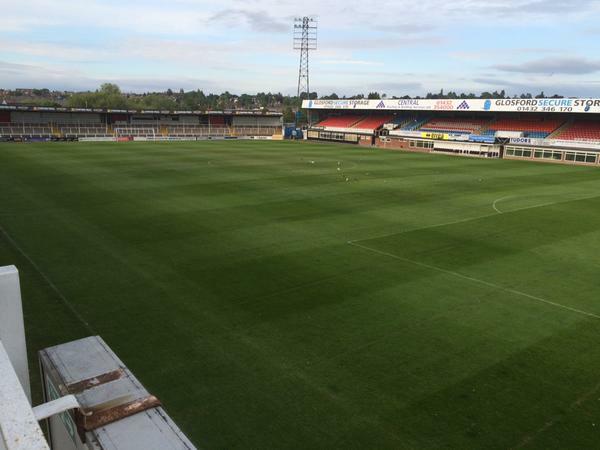 The Edgar Street pitch is showing definite signs of improvement in just six weeks. Since Highground Maintenance, under the leadership of Ben Bowen, took over the pitch has come on leaps and bounds. Due to the fact that time is passing quickly and there is still much work to be completed, Hereford FC will, in future, be holding ‘volunteer days’ on Saturday ach week. Therefore, we will not be sending emails to notify individuals of organised working parties, we will just rely on this ‘Open Invitation’ to all our volunteers to report at 9.25am every Saturday until further notice. If you are coming to help, please remember to bring protective gloves, working clothes, a pack lunch and a mug or similar. We are also still looking for match day volunteers to assist in operating the club. The roles we are seeking to fill are as follows (training will be provided where appropriate) – turnstile operators, stewards, stretcher bearers, qualified First Aiders, match ticket sales, programme sellers, ground cleaning team, and also facilitators to come into the club pre-match and assist with setting up the tables and chairs required for the various hospitality and social rooms. We need a lot of volunteers so we have sufficient to operate a rota system and offer cover for holidays, illness’ and other unavoidable events that happen in life. Hereford FC cannot stress enough the level of match day volunteer support we are going to require to operate the club safely, efficiently, and sustainably, and in that order of priority. Your help is needed and will be gratefully received. Operations Director Ken Kinnersley will be pleased to hear from anyone over the age of 17 who is willing to help the match day task force in any of the tasks mentioned. Time is running out so please make contact as soon as possible. Email to volunteers@herefordfc.co.uk. The HDanywhere Stadium will host the newly formed Hereford FC on Tuesday 7th July, 7:45pm KO. The fixture is an historic one, being Hereford FC's first ever competitive game! The ground will be open from 4pm. In addition to the clubhouse bar and toilet facilities, an outdoor marquee and bar will also be available. The stand-located men's toilet has now been refurbished and is also usable again. Burgers, chips and hot dogs will be available from the BBQ as well as the kitchen. Malvern and Hereford FC merchandising stalls will also be present. Early bird online tickets are available now for £5.00 here. Tickets on the day will be £6.00 on the gate. The last train from Great Malvern to Hereford departs at 22:59 and is roughy a 10-15min walk from the ground. 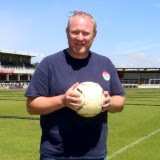 Beadle: "No Limit To What We Can Achieve"
Mark Carruthers of Non League Daily has interviewed Peter Beadle about his new challenge at Hereford FC. Beadle told him: "We don't take part in these leagues to achieve sustainability, we want to win games, we want to win leagues and we want to do that as quickly as we can. But we also know that is going to be tough and we will have to be at our best. We want to progress as a football club on and off the field, that is our key aim. If promotion comes along we will take it and with the following we have, with the ground we have, there is no limit to what we can achieve, the supporters will help us with that and there is genuinely no limit to what we can do"
"Getting Edgar Street back was one of the most important things to do. You can always get a new manager, you can always get new players but the toughest thing is finding a ground. Had there been no Edgar Street there may not have been a Hereford FC, it was a major factor in the reformation of the club and it is our home"
"For me as a coach or manager there are the same challenges. Teams want to beat you, everyone has strengths and weaknesses, you just have to make sure you are as best prepared as you can be. Sometimes I think in non-league there is a tendency to focus on the opposition too much, when actually you just get your own house in order and you can adapt to the challenges when you need to. When people come to Edgar Street it will be their cup final because of the history at the ground so we know it will be a big test for us, that is something we know we have to contend with." Hereford FC Ltd have been approached by supporters of the club wishing to obtain Shares in the company. Supporters, understandably, wish to own part of their club, whether it be via HUST, or individually. In order to comply with legislation, the club has taken professional advice and is now in a position to issue the necessary paperwork should individual supporters (as opposed to HUST) wish to acquire shares in the club. 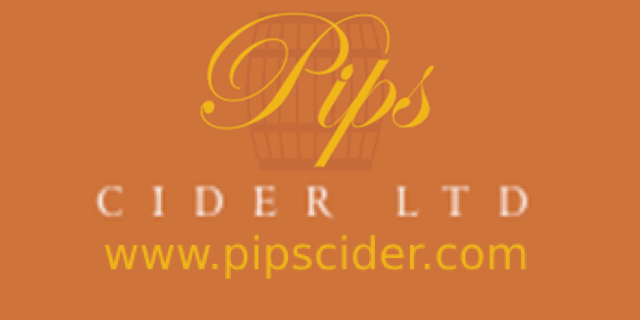 As previously agreed, an amount of £50,000 share capital (50,000 Ordinary £1 shares) was put aside in this connection, subject to a minimum level of individual investment of £1000 (i.e.1000 shares). The deadline is 5pm on Friday 3 July 2015. An Information Memorandum and application form will be sent out by post on Monday 6 July, detailing the next step and timescales. PLEASE NOTE: We have taken professional advice and in order for individual supporters to obtain shares it is only possible for a limited number to apply in the manner described above. No other dialogue can be entered into in connection with this matter. Hereford FC were duly elected to the Midland Football League at their AGM in Solihull last night. Clubs present were told that the full fixture list for the season was not expected to be published in full until the last week of July, with other leagues higher up the pyramid not due to release their fixtures until mid July. Tickets for the FC United of Manchester game on 11th July will be on sale from Edgar Street between 10am-4pm on Friday and Saturday. Volunteers Keith Hall and Rob Bullock have kindly offered to man the ticket desk tomorrow between 10am-4pm, whilst tickets will also be on sale on Saturday as originally planned. Phone orders will also be accepted throughout the day, but please be aware that phone calls won’t always be able to be answered during busy periods. Tickets cost £6 for adults, £4 concessions and £1 for U16s, cash is the preferred method of payment, but debit and credit cards are also accepted. Unfortunately there are small charges associated with the use of cards. Sales now stand at around 1,100 for the game so far, but with an anticipated total capacity expected to be confirmed in the region of 4,000-5,000, there are still plenty of tickets available. The most popular area so far has been the B Block, with around 150 general sale tickets remaining for that area. As with all friendlies, the FC United of Manchester game is an ‘all-pay’ match, season ticket holders are therefore required to purchase tickets for the game. Although tickets are on general sale, season ticket holders will have their tickets reserved up until 27th June, at which point all remaining tickets will be added to the general sale tickets. We hope to have received delivery of Season Tickets by the beginning of July, and by the time the FC United of Manchester game takes place we will have labelled all seats that have been reserved for season tickets. Therefore, season ticket holders will be able to sit in their desired seat for this game. Fans who have purchased Executive Club season tickets have all games included in their season ticket, so don’t need to purchase tickets for any friendlies. Daniel Leadbitter has signed a new contract for the coming season with Bristol Rovers. The former Torquay man was an unused sub for the playoff final as they won promotion back to the Football League. Former Bulls loanee Ross Dyer has signed for Tamworth for the coming season. The 27 year old striker scored only once last season in 33 games for Halifax, Southport, and Telford. Stuart Fleetwood has signed for Sutton United on a two year deal. The 29 year old scored four times in 44 games for Eastleigh and Forest Green last term, and joins fellow ex-Bull Dean Beckwith at the club. Newport chairman Les Scadding has stepped down with immediate effect. The Lottery millionaire said earlier in the year he was to cease funding the club, and has been seeking someone to take over his shares and investment without success. FC United of Manchester have signed up all but one of their Northern Premier League championship side for the coming season. Only fringe player Joe Fox has left the club to seek first team football elsewhere, with his place in the squad being taken by the returning Nicky Platt. Among the squad signed up is 25 goal top scorer Tom Greaves, who joined the club after scoring the winning goal against them for Bradford PA in the play-off final in the summer of 2012. He has scored 72 times in 132 games for the club and is set to be named their player of the year for the second successive season.